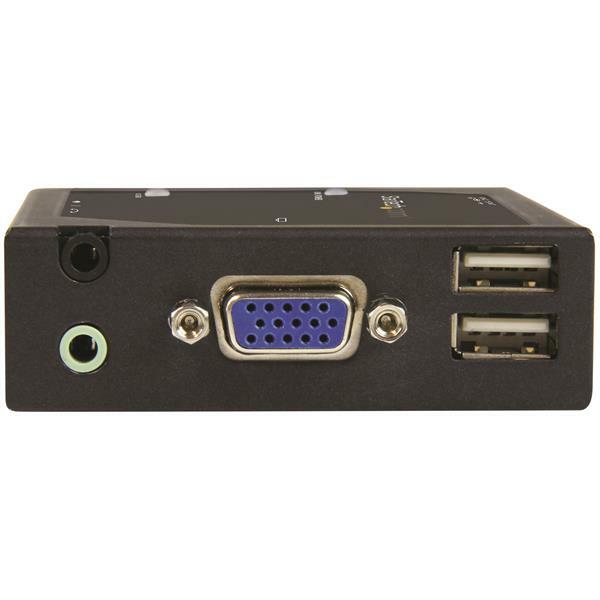 The IP video extender supports resolutions up to 1920x1200 and features two built-in USB ports and 3.5 mm audio set, enabling you to connect remote USB devices and speakers with a microphone to your computer from your display. It’s the perfect solution for controlling a computer from wherever the adapter is located. 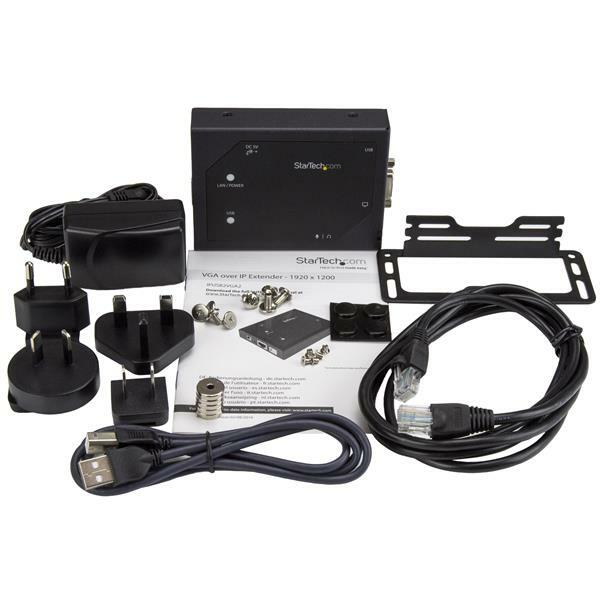 With this IP video extender, you can turn your VGA television, monitor or projector into an IP display that can connect to any Windows® computer on your network. It's perfect for conference rooms and classrooms where different ideas are shared by users who bring their own computers. 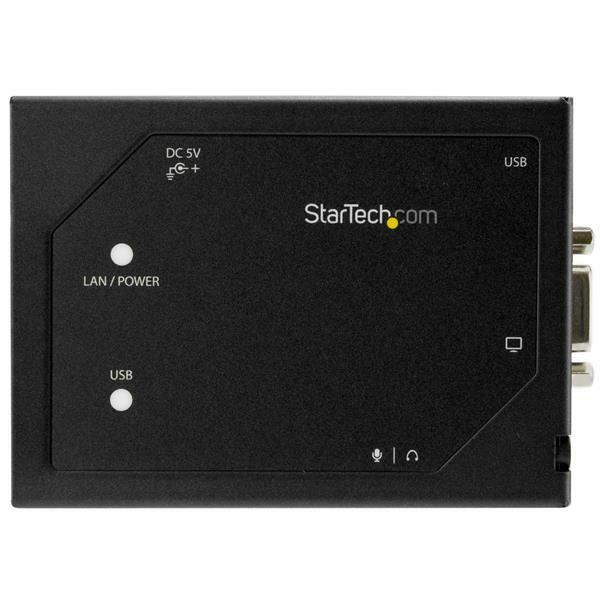 The IPUSB2VGA2 is TAA compliant and backed by a 2-year StarTech.com warranty with free lifetime technical support. What do I do if this device disconnects from the network when other network devices are present on the switch? If the IP extender detects that it does not have the necessary bandwidth to function, it may disconnect from the network. 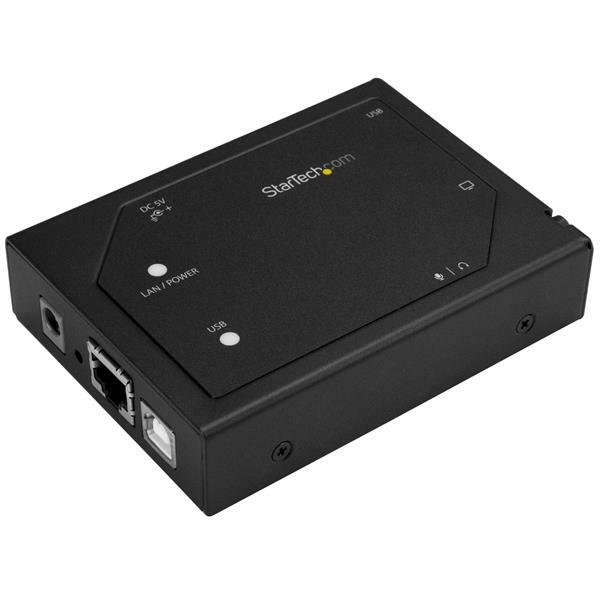 It is recommended that you use the IP extender with a switch or router with no other networking devices connected to it. If the IP extender outputs video at 1920x1080, it can use up to 136Mbps. 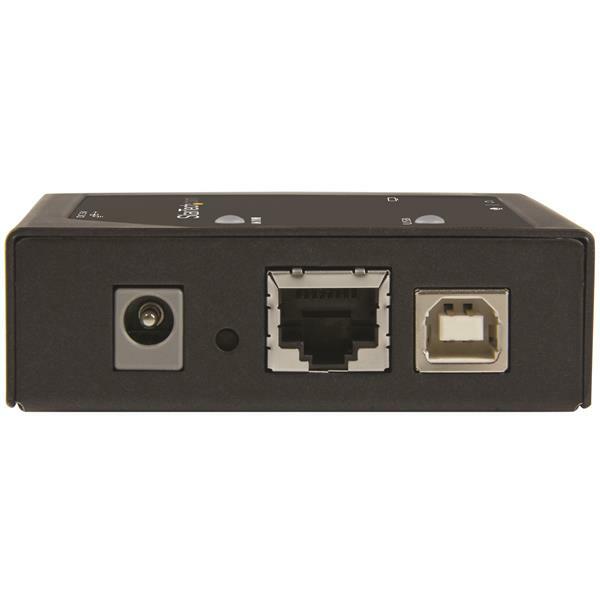 If the IP extender outputs video at 1920x1080 and remote USB devices are connected it, the IP extender can use up to 275Mbps. Make sure that your network can support the bandwidth required by the IP extender.